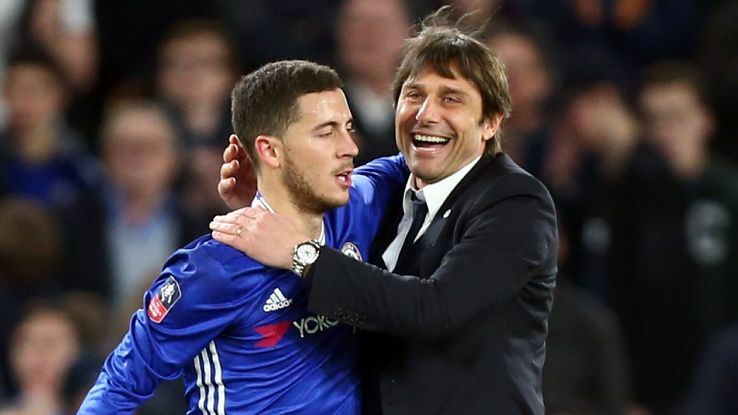 Chelsea manager Antonio Conte said he is "surprised" that Belgium have named winger Eden Hazard in their squad for their forthcoming World Cup qualifiers. Hazard has not played since suffering an ankle injury on international duty in June that required surgery. "It's very important to give the right time to recover well," said Conte. Conte revealed he learned of Hazard's call-up just 20 minutes before Friday's news conference and had not spoken to Belgium boss Roberto Martinez. "I was a coach of the national team with Italy so I respect the decision of the coach," added Conte "If Hazard isn't ready he will not play, it's why he doesn't play with us." Conte, who will again be without Hazard for Sunday's Premier League match at home to Everton, said it would be a "big mistake" to bring the midfielder back from injury too quickly. Belgium host Gibraltar on 31 August followed by a trip to Greece on 3 September. 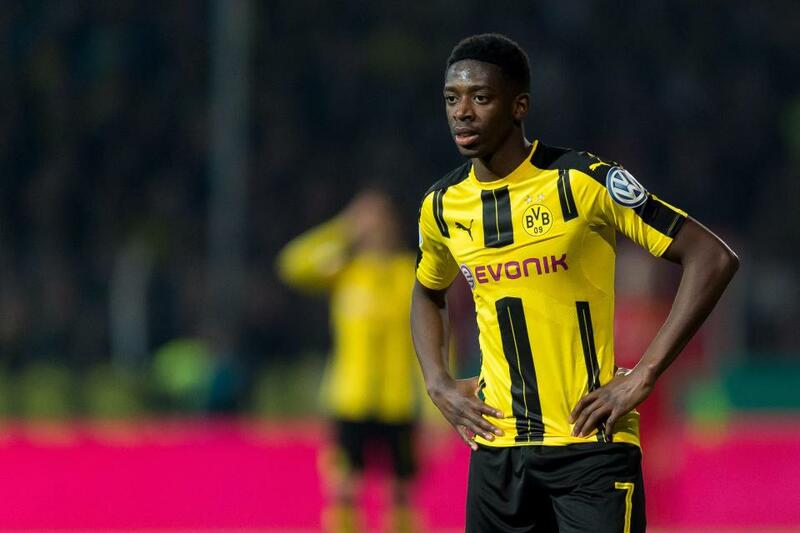 Barcelona have completed the signing of Ousmane Dembele from Borussia Dortmund in a deal potentially worth €147 million.Barca have confirmed a €105m initial fee for Dembele, with Dortmund to receive a further €42m in bonuses. The forward's release clause has been set at €400m. The €222m received from Paris Saint-Germain for Neymar sparked the Liga side's pursuit of Dembele and Liverpool's Philippe Coutinho in the close season, but they saw bids for each rejected. While Liverpool have stood firm on their insistence that Coutinho is not for sale, Dortmund have surrendered to Dembele's wishes and allowed him to leave. The France international had made clear his desire to join Ernesto Valverde's side by skipping training, resulting in him being indefinitely suspended by Dortmund. Dembele spent just one season in Germany after joining from Rennes for €15m in July 2016, scoring 10 goals in 50 games in all competitions for BVB. He will arrive in Spain over the weekend to undergo a medical and sign his contract ahead of his official unveiling at Camp Nou on Monday. He is the fifth signing Barca have made in the current window, joining Marlon, Nelson Semedo, Paulinho and Gerard Deulofeu in moving to Camp Nou. The Brazilian defender Dani Alves was set to move to the Premier League, but has instead signed for the Ligue 1 giants after a last-minute u-turn PSG have confirmed the signing of Dani Alves, much to the chagrin of Manchester City. The club have also revealed he will wear the No.32 - following in the footsteps of David Beckham and David Luiz - as he battles for a place in the starting XI with Thomas Meunier and Serge Aurier. 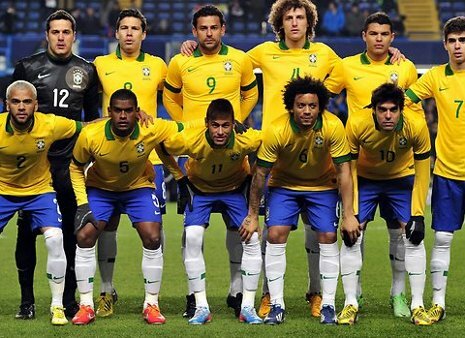 "I am extremely pleased to join Paris Saint-Germain," he told the club's website. "In recent years, I had been able to watch from the outside the tremendous growth of this club, which has become a stronghold of European football. "It is very exciting to play a part in this great project. At all the clubs where I've been, I've always given the best to help my team go as far as possible. "Believe me, I also come to Paris to win. I know the ambitions of my new club and the expectations of its many supporters throughout the world. We're going to share great moments, I'm sure! " The Red Devils have snapped up the Belgian striker despite a lengthy bid by Chelsea to bring the striker back to Stamford Bridge Manchester United have completed the signing of Everton striker Romelu Lukaku for a fee of £75 million. On Saturday morning United confirmed they'd agreed a fee for the 24-year-old, who had been subject a late bid from Chelsea to steal him away from their title rivals. They've now agreed personal terms and the Belgium international has completed a medical in Los Angeles, meaning he'll link up with the team on their pre-season US tour. The £75m fee makes Lukaku the second-most expensive player in British football history behind only United's world-record £89.5m signing of Paul Pogba last summer. Lukaku has signed a five-year contract with the Old Trafford outfit and will join the rest of the first-team squad when they fly out to Los Angeles on Sunday. Lukaku has been holidaying with close friend and new team-mate Pogba in California, where United are set to arrive for the start of their summer tour. Jose Mourinho is delighted to have signed the forward, telling the club's website "Romelu is a natural fit for Manchester United. "He is a big personality and a big player. It is only natural that he wants to develop his career at the biggest club. He will be a great addition to the group and I know they will make him very welcome. I am really looking forward to working with him again." The 20-time English champions moved swiftly to close the deal ahead of fellow admirers Chelsea following their decision earlier this week to withdraw from talks with Real Madrid regarding their striker Alvaro Morata. This will be Lukaku’s second stint under Mourinho following their previous spell together at Chelsea. However, the Portuguese loaned the striker to Everton soon after returning to Stamford Bridge in 2013 before selling him to the Toffees on a £28m deal the following summer. The Belgian thanked Everton for his time at the club, but is eager to work with Mourinho again and wear the red jersey of Manchester United. 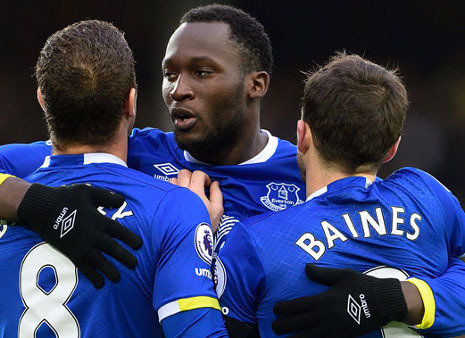 "I would like to start by thanking Everton and the fans for the last four wonderful seasons, I have made some special friends and we have shared some amazing moments," Lukaku said. "However, when Manchester United and Jose Mourinho come knocking at the door it is an opportunity of a lifetime and one that I could not turn down. You could see the fight, determination and the spirit in this team during the Europa League final and I want to become a part of that. "I cannot wait to run out at Old Trafford in front of 75,000 fans but before that pre-season is where the hard work starts and I am looking forward to that first training session." Lukaku, who scored 87 goals in 166 games for Everton, is United’s second major signing of the summer following the earlier arrival of Swedish defender Victor Lindelof from Benfica.